How did this happen? Not overnight. Change comes as a slow progression of incremental steps. Ideas, prototypes, demonstrations, early adopters, and believers. The telecommunications industry disruption is a product of people. People like Alon Cohen who founded VocalTec and Internet Phone – recognized as the genesis of the VoIP industry, allowing people to converse over IP networks and avoid international long-distance charges. Alon is now the EVP at Phone.com, helping businesses by delivering cost effective IP communications services. Or Jonathan Rosenberg who came up with the idea for a flexible Session Initiation Protocol, publishing it via the IETF as RFC 3261, along with a number of further refinements. Jonathan just took on a new role at Five9s as CTO for AI. There’s Eric Burger, a founder at Snowshore that was instrumental in defining the role of media servers in today’s IMS networks. Today Eric is at the FCC as CTO and leading the charge to stem the flood of illegal robocalling. And many, many more – each making a contribution to disrupting a multi-billion dollar entrenched industry. We are proud to announce that we recently launched a new podcast titled “Telecom Disruptors”. A podcast focused on sharing the stories and journeys of the people that have contributed to creating the new communications industry. It’s different and definitely not product pitches. We’ve already spent some time with Eric and Jonathan, along with a few others. 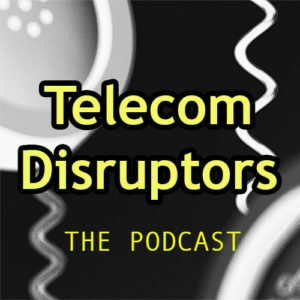 Listen in to the first few episodes at http://www.telecomdisruptors.com (with syndication on Apple iTunes and Google Podcasts coming soon). Previous Previous post: 2018 – What a Year! Next Next post: FAQ# 1 of 10 – What’s the difference between an SBC and a SIP Proxy?